The long-awaited Tesla Semi electric truck was unveiled Thursday night and it promises to shake up the shipping industry by significantly reducing the cost of transporting goods from point-to-point. 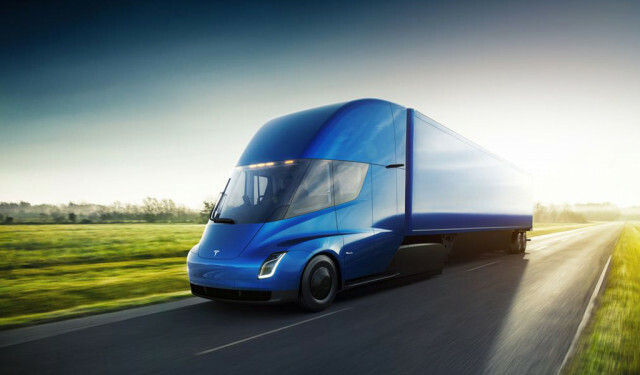 Tesla CEO Elon Musk unveiled the Semi at a private event in California, where he touted a 500-mile range when loaded to 80,000-pound maximum weight allowed under federal highway regulations for Class 8 trucks. Musk said that the Semi's battery can be topped off to a 400-mile range in 30 minutes. That 500 mile figure is about half the range of a typical diesel truck, but Musk shrugged off the deficit by pointing out that the Tesla Semi accelerates faster and will be less costly to operate. Musk said that diesel trucks cost as much as 20 percent more than what Tesla projects for its electric Semi. A large battery is integrated into the Semi's chassis. 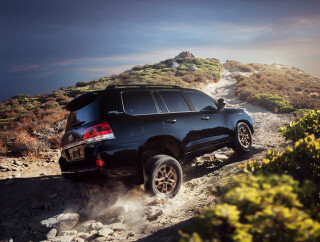 The truck has four motors, one for each of its rear wheels. Despite its visual heft, the cab is a day cab, meaning it doesn't have a bed. Musk joked that the Semi will be easy to drive, even for him. "And I have no idea how to drive a semi," he told reporters. And he may not need to, since the Semi will have a version of the company's Auto Pilot semi-autonomous driving aids. Uniquely, the truck has just a single seat mounted in the center of the cabin, which is designed to provide a more wide-open feel. The driver's cockpit is closer to the road in the Tesla Semi than in many conventional trucks and the battery provides a lower center of gravity. 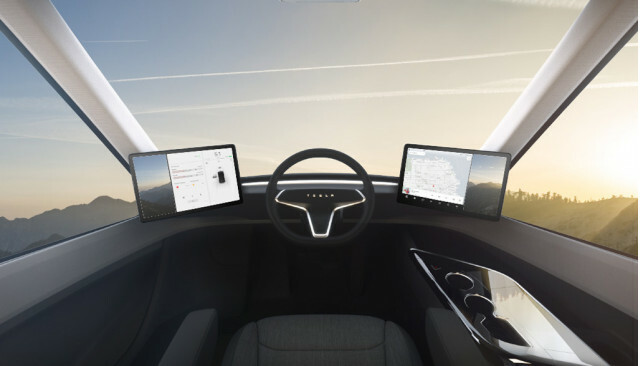 With a pair of large screens comprising the Semi's dashboard, its appearance is nearly as sparse as the Model 3 sedan inside. Musk claims the Semi will go into production in 2019 with pre-orders starting today with a $5,000 deposit required to make a reservation.